Still lamenting the boxed-up twinkle lights and snowman collection leaving you with only dried up pine needles (seriously, where are they coming from?) and Christmas cards you have yet to recycle? 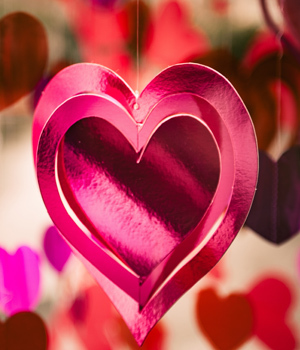 If your mantle is looking a little lonely and your heart is crying out for ornamentation, ditch the winter doldrums and jazz up the house with a little Valentine’s décor! 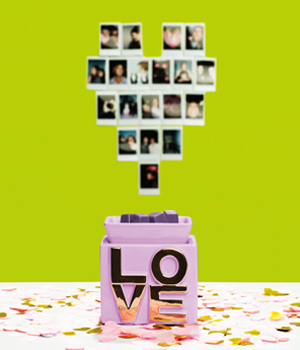 Check out these simple and fun ideas to add color and whimsy to your February. Throw a red or pink tablecloth on your dining table and add some paper heart doilies down the center (available at any craft store). Place a clear vase in the center, fill it with candy hearts or Red HotsTM, then add something fun like red pinwheels, Valentine’s Day cards glued to wooden craft sticks or faux flowers like mums or tulips. Cut 6- to 8-inch hearts out of pastel-colored construction paper and add sayings like “Be Mine” and “Crazy 4 U” — just like you find on candy hearts. Create a banner by stringing the hearts together with twine or satin ribbon and attach them to your mantle or across a doorway. Have a festive front door. Wrap red or pink ribbon around a twig wreath and hot-glue embellishments like heart doilies, oversized buttons and letters like “LOVE” or “XOXO.” You could also completely cover a foam floral wreath with faux rose buds. Don’t forget to attach a looped satin ribbon so you can hang your masterpiece. Cut hearts of various sizes from tissue paper, or create hearts using waxed paper and melted crayons. Glue the hearts to yarn or pretty ribbon to make streamers of different lengths that you can hang in a window or door frame. Add love to the air. 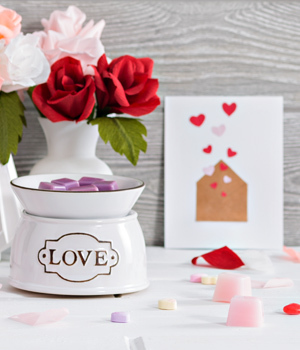 Nothing says love like the ambiance of a Scentsy Warmer and a romantic fragrance. 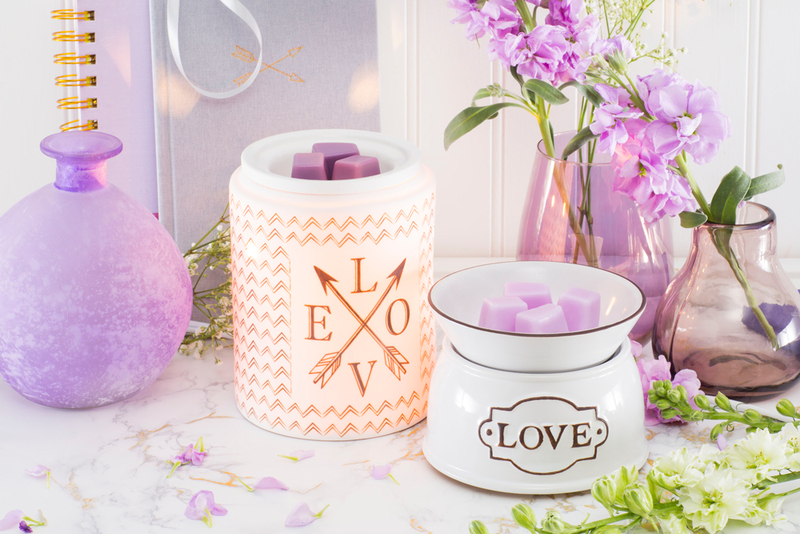 Add our Once in a Lifetime Warmer to a side table and throw in a few cubes of Plum & White Woods or Lucky in Love. Festive, fragrant AND fun! How to work from anywhere!